From New York Times bestselling author and beloved Today show anchor Hoda Kotb comes an inspiring collection of quotes--drawn from her own personal favorites featured on her 1 million+ Instagram account--that offer wisdom, courage, and hope. Every morning, viewers around the country wake up to hear from, and connect with, Hoda Kotb. Beyond her day-to-day reporting, her honesty, humor, and endless supply of generosity have inspired millions and have brought audiences into the folds of her remarkable life. Now, she is ready to share the very ideas and lessons she carries with her each day, the reflections that have pushed her to challenge boundaries, embrace change, and explore relationships to their fullest. 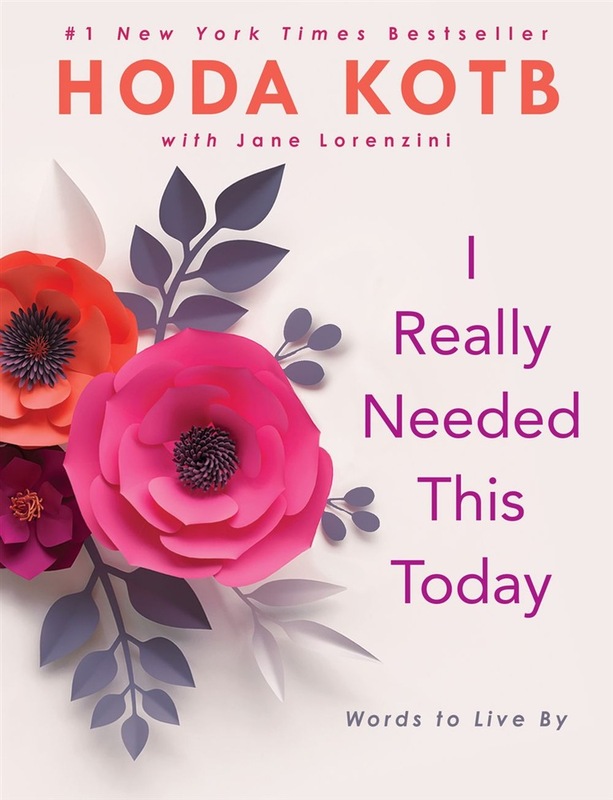 This book gathers more than 250 of Hoda's favorite quotes--mantras and reflections that urge us to seek out connection and partnership in our daily lives--augmented by her thoughts on each quotation and why it's so meaningful to her. Too often we believe we are alone in our feelings, our grief, and our joy, when in reality those around us are feeling the exact same way. With quotes covering the emotional life-cycle of a year, I Really Needed That Today is a perfect, portable pick-me-up--a companion guide to the wide range of compassion, empathy, and community needed in our lives. Acquista I Really Needed This Today in Epub: dopo aver letto l’ebook I Really Needed This Today di Hoda Kotb ti invitiamo a lasciarci una Recensione qui sotto: sarà utile agli utenti che non abbiano ancora letto questo libro e che vogliano avere delle opinioni altrui. L’opinione su di un libro è molto soggettiva e per questo leggere eventuali recensioni negative non ci dovrà frenare dall’acquisto, anzi dovrà spingerci ad acquistare il libro in fretta per poter dire la nostra ed eventualmente smentire quanto commentato da altri, contribuendo ad arricchire più possibile i commenti e dare sempre più spunti di confronto al pubblico online.